Multiquip has built a reputation on providing the most innovative, lowest maintenance and most productive rammers in the business. 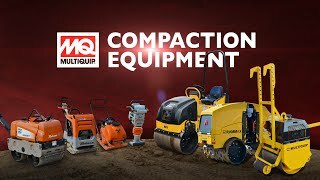 High performance and unparalleled reliability have made Multiquip's Mikasa Rammers the #1 choice in the equipment rental industry and the standard among contractors everywhere. Our 4-cycle rammers are available with the choice of Honda, Robin, or Subaru engines. The units have lower noise levels, reduced emissions and fuel requirements while increasing performance. No need for mixed fuel.